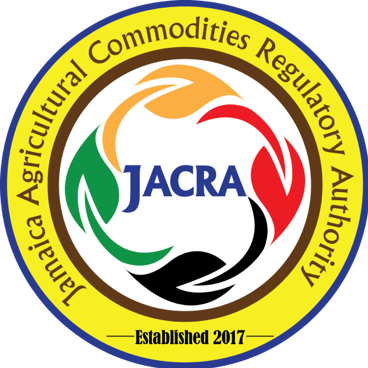 After some five years in the making, the government on new year’s day officially implemented the Jamaica Agricultural Commodities Authority (JACRA), which is expected to strengthen the legislative framework to support sustainable development in agriculture, manufacturing, industry, and commerce. JACRA was established with the blessings of five ministers of agriculture, including Roger Clarke, Christopher Tufton, Robert Montague, Derrick Kellier and Karl Samuda under the direction of permanent secretary Donovan Stanberry. The authority replaces and merges the existing Coffee Industry Board, Cocoa Industry Board, the regulatory functions of the Coconut Industry Board and the Export Division of the ministry. These commodities have the potential to contribute up to 60 percent of the island’s export earnings and perhaps 40 percent of the farm jobs market. The so-called traditional export crops — coffee, cocoa, coconut, ginger, pimento and other spices—have been around for decades and have contributed to the wealth creation of thousands of farmers and families. They have also been significant contributors to the island’s Gross Domestic Products (GDP). Taking on the responsibilities of five agencies, JACRA has taken on the formidable task of transforming and growing Jamaica’s traditional crops in an environment that is changing with tricky challenges but vast opportunities. We must preserve the legacy of coffee, cocoa, coconut, ginger and pimento on the international market because they are regarded as among the best products coming out of Jamaica. However, many farmers, agriculturalists, and other stakeholders are not happy with aspects of the JACRA. Among the many criticisms, they argue “the JACRA Act did not embrace the modern environment changes which make aspects of acts obsolete.” In our opinion, most stakeholders are in support of JACRA, but they are very disappointed about aspect of the regulations, arguing that it was not “business friendly” and may become a deterrent to the very crops they were are seeking to promote. However, we are optimistic that someone is listening to the farmers’ concern and are addressing the issues with the production and export of coffee, cocoa and coconut and spices at their lowest level of output, we cannot afford for JACRA to fail. But, JACRA cannot survive without a strong pool of farmers and agri-investors producing and trading the crops on a sustainable basis. On the other hand, farmers need a JACRA to create a fair and balanced environment for producers and traders. As much as JACRA is needed to save our traditional crops, it will take a strong partnership with farmers and traders to get the job done. An environment of hostility and turfprotection will not work or benefit the agricultural sector. Therefore, farmers, government regulators and stakeholders organizations should unite to save our traditional commodities.